Housing took centre stage in Philip Hammond’s Autumn Statement – now it’s up to us to build them. For a few years housing associations have had the shackles on: it’s been a tough market, too many strings attached to government cash, a squeeze on welfare. The ripple effect of that rent cut. 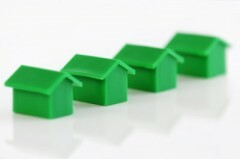 Despite those obstacles the sector built more than 40,000 homes last year. About a third of all new homes built in England, which is a great effort. With uncertain times ahead, the chancellor is putting his – and a lot of borrowed – money into creating the right conditions to allow business to flourish. This translates to more, better infrastructure, with a £23bn fund set up to invest in tarmac, tracks, telecoms and…houses. He talked about the negative ‘effect of unaffordable housing on our nation’s productivity’ and rightly placed housing in the same bracket as roads and broadband. Housing is essential infrastructure. It creates jobs, creates a boost throughout a local economy and creates safe and secure places for people to get on in life. But there’s a housing crisis. And housing associations are a big part of the solution. And now the sector has been given some money and flexibility to deliver. We can build the right homes in the right places, where they’re needed most, especially affordable homes for rent. The National Housing Federation’s recently relaunched Ambition to Deliver includes a goal for housing associations to be building 120,000 homes a year by 2035/36. I believe we need to move faster. There have been headlines about housing association completions falling recently, it’s no surprise given the end of the last government programme and the rent cut, but this is a chance to reverse that trend. Let’s be realistic, this is not a return to the dizzying grant levels of the Housing Corporation/Homes and Communities Agency pre-2010. But we have to find a way. Housing associations have spent years overcoming the falling grants by focusing on efficiency, making the most of their land and assets, diversifying where it makes sense to do so. That may be enough to add another 5%, but can we do more finding strength in numbers through a group structure, a development consortium or a merger? Can we share risk with a developer in a joint venture? Can we work even more closely with local authorities to make the most of valuable public land? Can we make the most of modern, off-site construction techniques? We want to end the housing crisis, now we’ve got some more tools to work with. But what makes housing associations different is that we don’t build, sell and leave. Our connection to our estates and communities continues after the last brick is laid, as a resident moves in and makes that house a home. And for many, times have been really tough. So while the ‘no further welfare savings’ was a welcome message, it won’t be much relief for those already near or over the edge. A rise in the living wage and increasing personal tax allowance is welcome, but I’m certain we’ll start to see the impact of the benefit cap soon, particularly in expensive areas such as the south east. 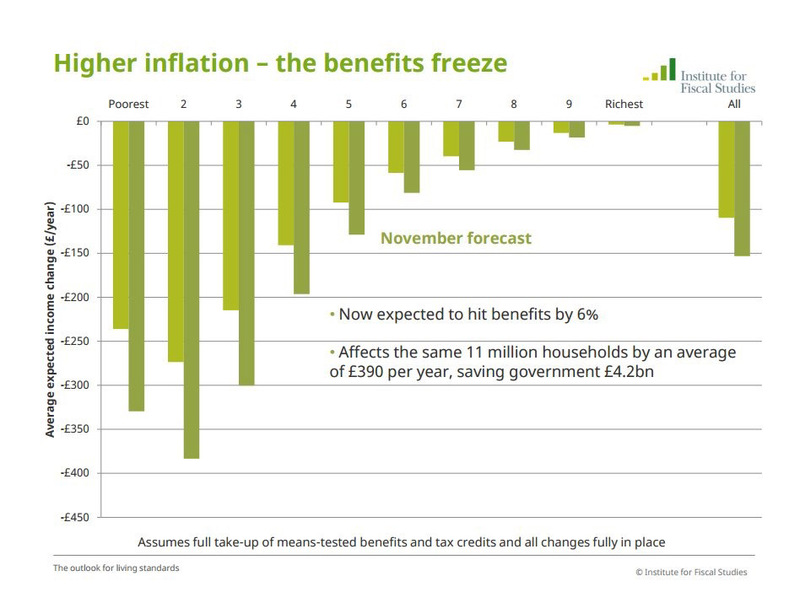 If the cost of living goes up as expected next year, the freeze on benefits will only widen the gap for those just not managing at all. Housing associations have a responsibility to support their residents through these tough years as best they can, and make sure they have a voice when government is making decisions about future policies that impact them. The next milestone is a white paper, due to be published this year, setting out the future for housing. I hope it’s dull. I’ve seen a fair few reviews into housing in my short time in housing. And the answers are often the same, shifting the balance between planning (and I’m including land here), regulation and investment. But for the first time in a long time, it feels like government is starting to act on all three areas, a commitment to not just free up public sector land but really unlock it with supporting infrastructure, housing associations are to be given freedoms and there may be a new-look regulator in charge, and then there’s a few billion to get the work started. Let’s keep their focus there, keep it simple. Then let’s prove that with the right freedoms, the right mix of land and investment, housing associations can deliver their ambition. I’m not saying it’s going to be easy, but this is a chance for the sector to show its commitment and skill at really solving the housing crisis, building a significant number and range of homes that meet our communities needs – while holding true to that social purpose that makes this sector so unique.